ISRO, in a fresh update today, has announced the final list of the students who have been selected for the YUVIKA 2019 or Young Scientist Programme. Unlike the previous list, two fresh student names have been added from Lakshadweep, which was missed out in the provisionally selected students announcement made last week. Therefore, the total tally of students who would be fortunate to get trained by ISRO Scientist as part of YUVIKA 2019 now stands at 107. The Indian Space Research Organisation had announced the Young Scientist Programme or ‘YUva VIgyani KAryakram’ (YUVIKA 2019) as part of the student outreach initiative. Nevertheless, ISRO Chairman K Sivan has acknowledged the fact that the initiative received more responses than expected. The organisation also plans to conduct this programme every year, as per media reports. 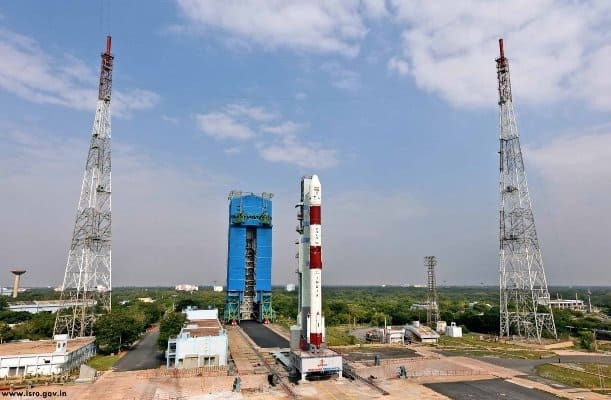 The Young Scientist Programme will be conducted across 4 centres of ISRO, which includes the Vikram Sarabhai Space Centre, Space Application Centre and Bangalore, during the second half of May 2019. The selected candidates will be put up at ISRO hostels and guest house and all other expenditure, which includes II AC fare by train for student and guardian or parent from the nearest railway station to the reporting centre and back, and course material will be provided by ISRO. Also, if the timing is right and the students are lucky, some of them may also get to witness the live rocket launch. Although the organisation had made it very clear that only three students would be selected from each Union Territory or State, hopeful students and parents of children who were not finalised seem to be unhappy. Several students and parents wrote to DataQuest saying ISRO should include more students from the next time onwards. “My daughter got disappointed. Please select students equally if possible with exam .A percent of reservation can be given to rural. Real talented students are missing the opportunity,” said a parent to DataQuest. “Hi! I applied for ISRO with high marks and high weightage in all types of competitions and I am from rural area, and also a member in science club and scouts. But I wasn’t selected so I was disappointed. And I was so interested in ISRO that will change my life. And I am a person very interested in TECHNOLOGY and researching on different technology and I executed my talent in many state level science expos. And please send me applied form of selected candidates. And I will not stop trying and Definitely I’m sure that I will be good achiever in future,” says a student Sanjay Kumar, who applied for the programme but did not make it to the list. However, whether ISRO decides to take more students the next time, or plans to expand this outreach programme to school children in different grades can only be found out in due course. For now, those who wish to see the final list of students selected for ISRO YUVIKA 2019 can do so by visiting the official ISRO website. ISRO Announces Final List of Selected Students for Young Scientist Programme YUVIKA 2019 2.75 out of 5 based on 4 ratings. 4 user reviews. I had done all criterias mentioned in the ISRO website. I won 2 nd prize at state level in youth parliament. I won 2nd prize in cricket U-17 in state level.I am Rajya Puraskar Scout and also got 97% in 8 th class.Astronomy is my passion. Everyday I gaze at night sky to observe the wonderful space. Even I read encyclopedias of Space to enrich my knowledge. Moreover my school belongs to rural area. Then why I don’t got selected ?? I was very hopeful for final names.